NFL Week 2 is quickly approaching. This second set of games will provide the perfect opportunity for players who stunk things up last week to change things around. Or maybe it won’t. Some guys who got off on the wrong foot may find their Week 2 opponents even more challenging to deal with. We’ll also look at some players who thrived in their 2018 NFL debuts and will look to keep the trend continuing. Though, there is a quarterback who had a monster game last week who stands to settle back to Earth this Sunday. This veteran signal caller is featured here, along with our other stud and dud predictions for NFL Week 2. Ekeler has an excellent opportunity to thrive in Week 2 when the Chargers head east to square off with the Buffalo Bills. Just atrocious on both sides of the ball, the Bills aren’t stopping anybody. This should leave plenty of opportunities for Ekeler to run and catch the ball once the Chargers establish a substantial lead. Also keep in mind, the Bills just gave up three running back touchdowns in their Week 1 season opener. Fitzpatrick looked like Superman in his Week 1 debut, recording an astonishing 417 passing yards, along with five total touchdowns. Jaws dropped around the country while Fitzpatrick sat around on waiver wires racking up the most quarterback fantasy points of the week. But, we predict Fitzmagic tumbles back down to reality in Week 2 when he plays against the Philadelphia Eagles. 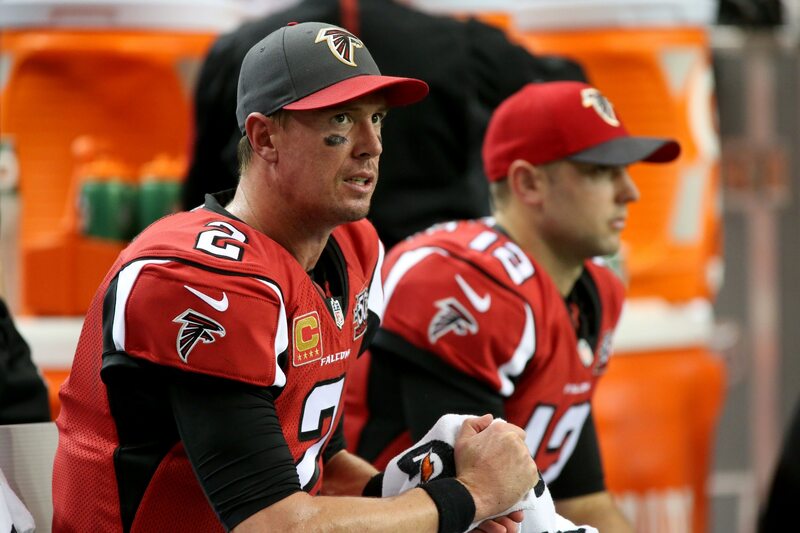 This is a team that held Falcons quarterback Matt Ryan scoreless in Week 1 while he completed just 48.8 percent of his passes. If Fitz comes out on fire here, then we want what he is eating for breakfast. Conner did an amazing job making Steelers fans forget all about the absence of Le’Veon Bell. During Week 1, he racked up a total of 192 yards and rushed for two touchdowns in his starting role. And, he should continue to be red hot when the Steelers host the Kansas City Chiefs this week. The Chiefs defense just allowed the Chargers to carry the ball at a generous pace of 5.6 yards per tote. Kansas City also ceded 123 rushing yards. Not sharing the backfield with anyone, Conner is primed to feast. Bortles was back to doing Bortles-type things when he completed just 54.5 percent of his passes with one touchdown and one interception in Week 1. He easily stands to keep trending down when the Jags next play the New England Patriots. Most predicted that Texans quarterback Deshaun Watson would pass for a ton of yards and scores last game against New England. That did not happen, as the Pats defense held Watson to just 176 yards and one touchdown. Watson was also intercepted and lost a fumble. Bortles of all folks is no sure bet under the same conditions. Mack was beast in his debut as a Chicago Bear, recording one sack as well as an interception returned for a 27-yard touchdown in Green Bay. He could easily continue wreaking havoc on his home turf when the Seattle Seahawks visit in Week 2. The Seahawks offensive line is a joke and should prove to be no matchup when squaring off against Mack this week. Poor quarterback Russell Wilson took six sacks in Week 1. That number is going to rise if Mack has his way in this game. Should we already label Cooper as a bust? He had a quiet season debut after touching the ball in Week 1 twice for a total of 18 yards. Now, Cooper will be stuck facing another tough passing defense in that of the Denver Broncos. A road game played in the high altitude with cornerback Chris Harris in Cooper’s business is not ideal. It is difficult to imagine Cooper coming out on the winning side here at all, especially after hearing what Jon Gruden had to say about him following Monday night’s debacle. Kittle is developing sweet chemistry with quarterback Jimmy Garoppolo. He led the 49ers with 90 receiving yards in Week 1, averaging a whopping 18 yards per catch. He should continue being Garoppolo’s BFF on offense when the 49ers host the Detroit Lions. The Lions allowed the 10th-highest fantasy points to the tight end position last year. And, their defense was simply hapless overall in defending a rookie quarterback-led Jets team in Week 1. With quarterback Aaron Rodgers airing things out in Week 1 and all of his receivers scoring touchdowns, there remained little work for anyone running the ball in Green Bay. This should continue to be the case when the Packers host the Minnesota Vikings this next game. The Vikings defense should force Rodgers to keep slinging the pigskin while it provides nothing but fits for Williams on the ground. Just ask the 49ers running backs, who combined for a lousy 84 rushing yards on 23 attempts in Week 1. Yuck. T. Mobile will not have to worry about any weather conditions to slow him down in Week 2. He and the Browns head to play in the New Orleans Saints dry SuperDome. This environment sets Taylor up for better success, both passing the ball and when he takes to his legs to make plays. The Saints had no answers against the Buccaneers, who unleashed a total of 529 offensive yards in Week 1. Taylor could be this week’s version of the aforementioned Fitzpatrick. McCoy was a major disappointment in Week 1 and that looks to be the case again. Shady is unfortunately saddled to a Bills offense that is an utter disaster. The Bills likely will not have the pleasure of running the ball against the high-producing Chargers offense this Sunday. On defense, the Chargers proved to be capable in stopping the run. Their rushing defense just held Chiefs star running back, Kareem Hunt, to only 49 yards on 16 attempts. McCoy’s Week 2 outlook is very grim. Barkley is on course for another 100-plus yard rushing game in Week 2. This is because the rookie speedster will face a Dallas Cowboys defense that gave up 5.0 yards per carry to Carolina Panthers running backs Christian McCaffrey and C.J. Anderson last game. Barkley is no slouch when it comes to running, and if the Giants can gain a lead against a very beatable-looking Dallas squad, the rookie is going to receive a lot of touches. The Redskins will host the Indianapolis Colts in Week 2 when quarterback Alex Smith will likely continue to have eyes for anyone who is not a wide receiver. Smith clearly favored throwing the ball to running back Chris Thompson and tight end Jordan Reed in his debut as a Redskin. As such, Crowder was targeted only four times last game, resulting in a mere three catches for 32 yards. Unless something changes, Crowder looks to continue being the odd man out. The Texans defense is even better with the addition of Mathieu. He made a smashing debut as a Texan in Week 1 by picking off the G.O.A.T. in New England. Mathieu also had five combined tackles. So, just imagine what destruction is in store for Mathieu going up next against the Tennessee Titans. Mathieu will be attempting to be a pain in the side of either quarterback Marcus Mariota or Blaine Gabbert, who combined for three interceptions in Week 1. He is primed for a big outing. Ryan was a huge dud last week, and this looks to trickle into Week 2. This game around, Ryan will face a Carolina Panthers defense that just made Dallas Cowboys quarterback Dak Prescott look ridiculous. Prescott got sacked six times, managing only 170 passing yards and zero scores in his last game. The Panthers defense could easily pressure Ryan into making mistakes, considering how poorly he started off his season. Hill was an absolute monster in his Week 1 game, meshing really well with quarterback Patrick Mahomes. We expect the damage Hill does with his legs to continue when the Chiefs play the Pittsburgh Steelers in Week 2. The Steelers laid down and allowed 327 total yards on offense to be recorded by the Cleveland Browns last week. Hill is clearly the main man carrying the Chiefs offense, and he will rack up the yards and touchdowns one way or another in Week 2. Mixon and the Bengals should have a much more difficult time moving the ball downfield than they did in Week 1. They face a Baltimore Ravens defense that allowed the least amount of total yardage last week. Granted, that happened against a miserable Buffalo Bills offense, but this defense was stout last year as well. Mixon stands to be slowed down some in what should be quite the competitive offensive matchup that could force quarterback Andy Dalton to throw more often. Lawrence was a pain for the Carolina Panthers to deal with last game, recording seven combined tackles, one sack and one fumble recovery. The 26-year-old pass rusher stands to keep things on a roll when the Cowboys host the Giants this week. Getting after quarterback Eli Manning, and perhaps even forcing another turnover could all easily be on the table. Remember, Lawrence publicly trolled Manning during the offseason. He’ll be looking to make good on his promise. Hogan laid a huge egg in Week 1, disappointing all who started him in fantasy football. In Week 2, Hogan could once again bottom out. He will be facing a Jaguars secondary that has outstanding players across the board. Meanwhile, quarterback Tom Brady might do just as he did in his last game, which is target the heck out of running back James White and tight end Rob Gronkowski. It is worth noting that Hogan put up only two catches for 20 yards the last time he faced the Jags. This guy is primed for a major game when the Cardinals head to Los Angeles to face the Rams. Hopefully quarterback Sam Bradford gets the memo to throw the ball a TON to Seals-Jones. Why is this? Their one area of weakness defensively is at linebacker. 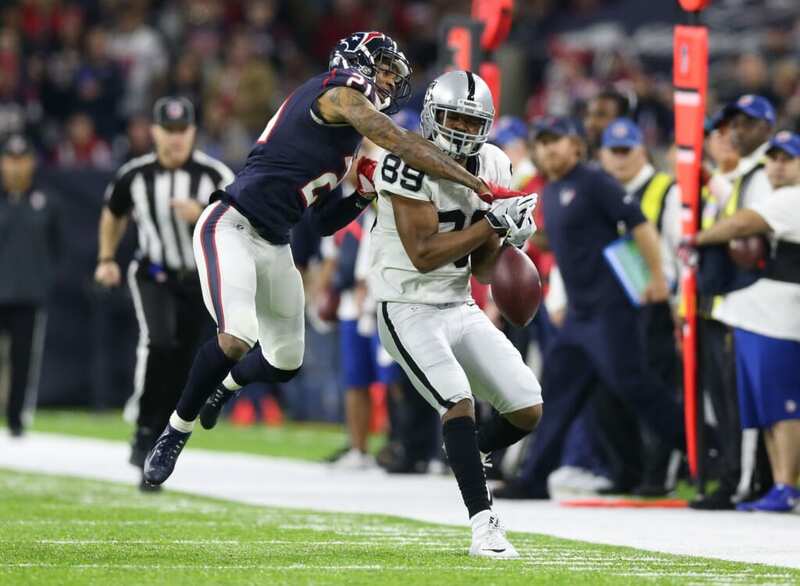 They were completely pathetic attempting to stop Oakland Raiders tight end Jared Cook in Week 1. Cook torched the Rams for 180 yards, averaging 20 yards per catch. If Seals-Jones and Bradford can get on the same page, the 23-year-old tight end should be golden in Week 2. 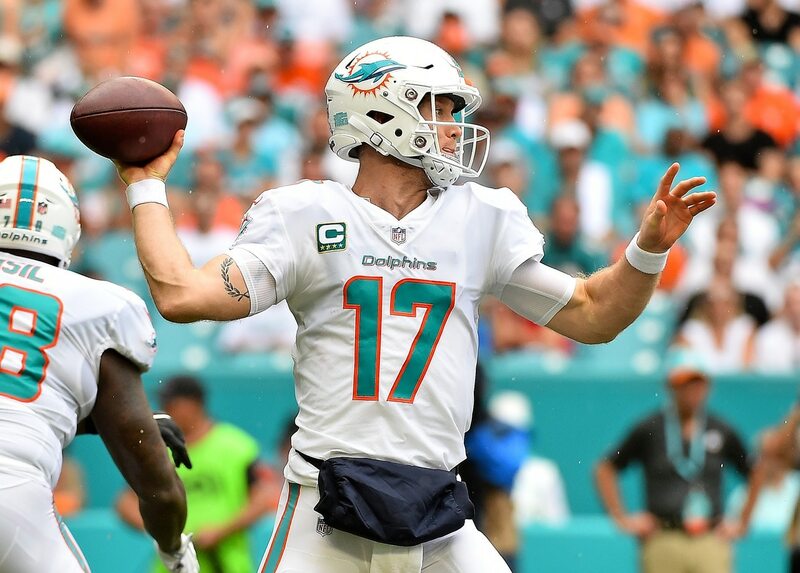 The Dolphins won in their season opener, but Tannehill hit some bumps along the way. He threw two interceptions, and the picks might keep coming when the Dolphins face the Jets in Week 2. This is a Jets defense that literally dismantled the Detroit Lions, snagging five interceptions in Week 1. Four of those picks were thrown by Matthew Stafford, who earned a quarterback rating of 47.9. Tannehill had better be prepared as he hopes to avoid the same fate.